A Bali trip is not complete without an inland tour. 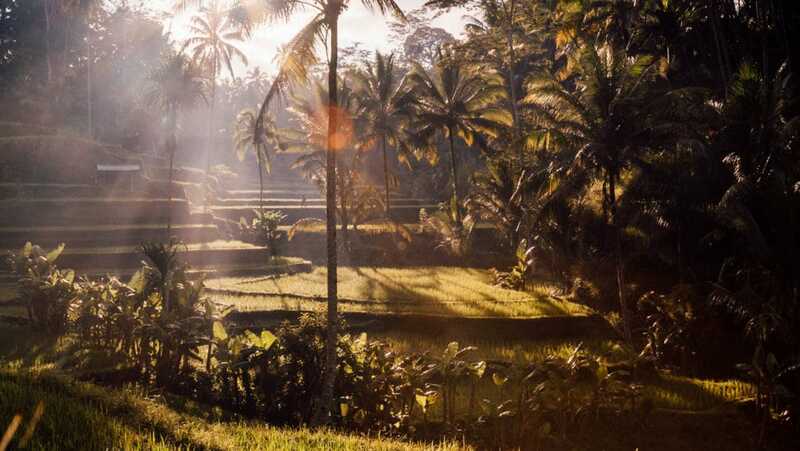 Ubud, embedded in rice fields, is the spiritual, cultural, and artistic capital of the “Island of the Gods”. In this place, the incense of the temples and the smells of the markets enliven your senses. 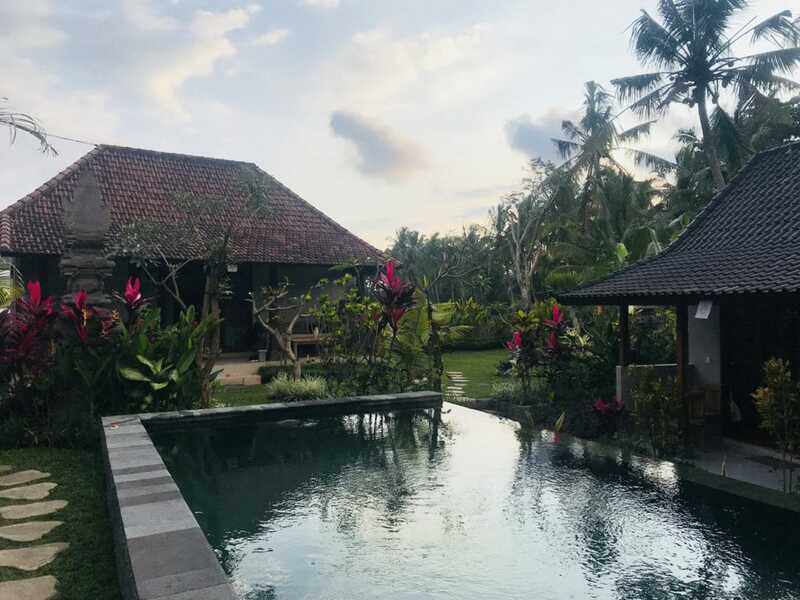 Treat yourself to a change of scenery and experience the authentic Bali. Upon your arrival in Ubud, you may be surprised how much the silence of the temples differs from the city atmosphere. Traditional music, scooters, kitchen smells and incense mingle and paint a vivid and colourful image. The city centre is full of shops and restaurants. 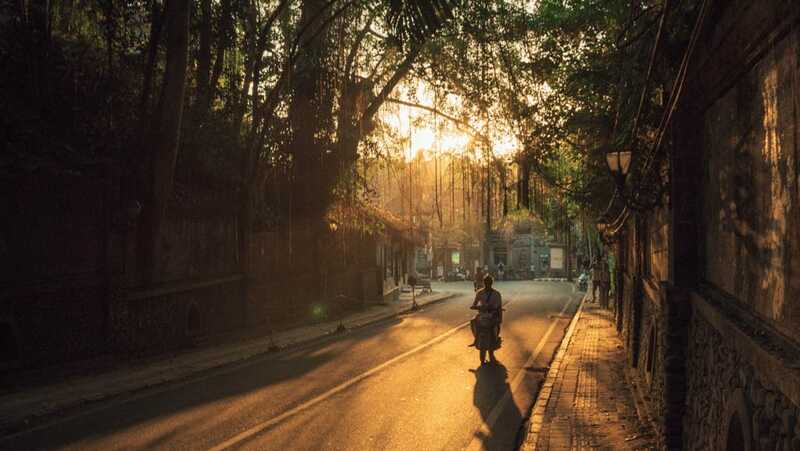 Stroll the streets, treat yourself to a Nasi Goreng dish and coconut ice-cream and visit the Ubud Market. Hundreds of colourful stalls stretch across several lanes and over three floors, where you can find jewellery, clothing and souvenirs at the best prices in Bali. They sell traditional things like hand-painted wooden statues, paintings and sarongs, most of which are made in Ubud. Go to the Gianyar Night Market if you want to go shopping with less tourists and taste good street food. There are several Balinese art museums and beautiful gardens that you should definitely visit. However, we recommend being accompanied by a guide who can explain the artworks. 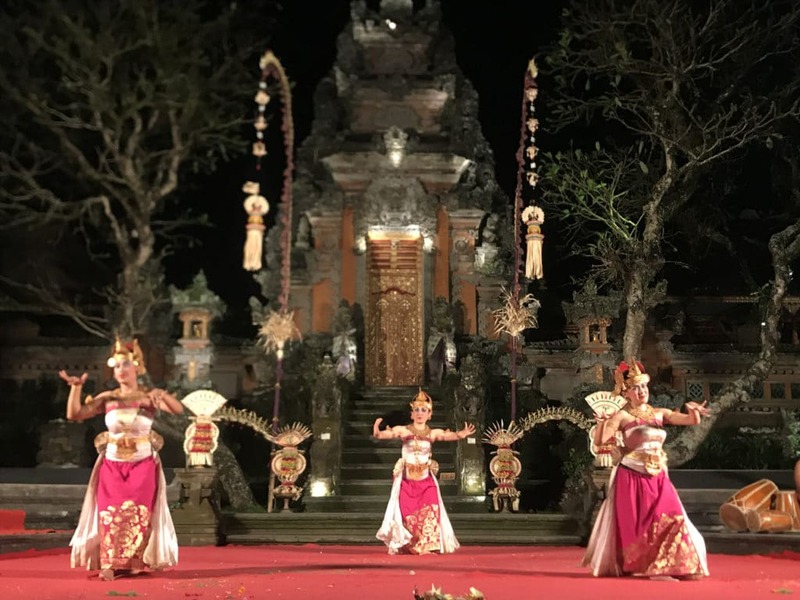 In the evening, visit Ubud Palace, a Balinese dance show that will enrich you with beautiful memories and photos. Young women in colourful traditional dresses and lots of make-up roll their eyes and make strange movements with their hands! The experience costs only 5 € and the Balinese people like to share their traditions. 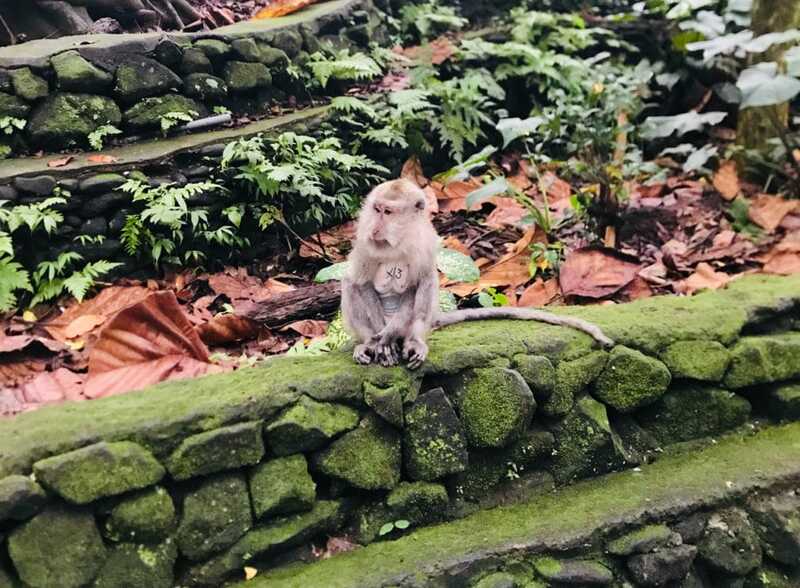 If you’re a fan of the movie “Planet of the Apes”, don’t miss a visit to the Sacred Monkey Forest! Hundreds of semi-wild monkeys live in this small forest right in the centre of Ubud. But don’t get too distracted by the macaque families, and watch your belongings: These little thieves grab anything that is not nailed down (glasses etc.). After two days in the city, it’s time to explore the famous rice fields of Bali. Walk to Café Pomegranate for a sunset dinner overlooking the rice fields … right in the centre of Ubud! A magical sanctuary from the crowds and the noise of the city, just minutes away from the market. This is our favourite spot in Ubud, accessible both by scooter and on foot. We recommend you to stay in this area. There you can also make use of your hiking boots and do the “Campuhan-Ridge Walk” early in the morning or at the end of the day. This trail overlooks the rice fields and offers great views of the jungle, in which Ubud is located. Ubud is surrounded by beautiful landscapes and temples. 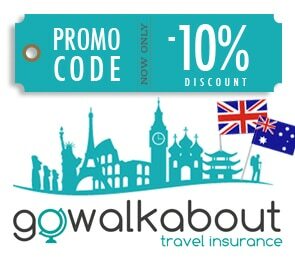 Rent a scooter or organize a private driver and go on a discovery trip! The stunning rice terraces of Tegallalang will astonish you … provided you go there early in the morning or at the end of the afternoon to avoid the tourist crowds. This unique place is definitely worth a visit to discover more than just Instagram swings and tourist restaurants. Walks along the rice fields lead you away from the beaten track into natural beauty. Put on your bikini and jump under a waterfall. There are a few of them in the Ubud area: the most accessible is Tegenungan, the most famous is Git Git, but our favourite is Tukad Cepung, a small waterfall in a jungle cave. You won’t want to leave this place for sure … But you have to: Because an extraordinary adventure will be awaiting you the following morning: Mount Batur. You departure at three in the morning, hike up the night volcano (easy / medium) and as a reward you get to see the sunrise over Bali and the volcano Agung. A unique experience! To recover from the effort, your tour guide will take you to the hot springs that come out of the volcano. Put on a sarong and immerse yourself in the history of Bali in the temples of Ubud. 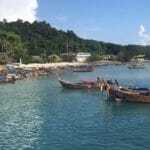 Discover the Goha Gaja Cave and help prepare for the ceremonies organized by Balinese people. For weeks, they weave baskets, prepare offerings, and pray. This is an opportunity to get to know the local religion and the customs of the Balinese society. In Gunung Kawi, admire the huge statues carved into the rocks, stroll through ancient temples, and enjoy a meal overlooking the jungle and volcano. Then you’re heading for the famous water temple Tirta Empul, where you can attend a traditional washing ceremony. Ponds full of colourful carp, temples with thatched roofs and meditating monks alongside crowds of tourists taking photos. A perfect representation of today’s Bali, which is seeking a balance between the protection of this beautiful island and its traditions on the one hand and the revenue of tourism on the other. Ubud is about an hour and a half’s drive from Denpasar International Airport and can be reached by shuttle bus, public bus or private taxi. The last option costs about 20 € for a comfortable ride from the airport to your hotel. You can rent a scooter on site. That’s the best way to get around Ubud, but be careful. The roads are good, but the traffic is dense and the accidents are numerous. 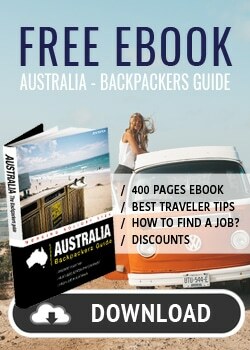 If you stay in the city, it is safest to walk and take a private taxi for tours outside the city. We advise against renting a car, which is too expensive and risky. You can find accommodation in every price range, from a simple dorm to a villa with infinity pool. If you mostly walk, book a hotel in the centre of Ubud Market. But if you hire a scooter, it’s better to stay out of town. It is not only cheaper, but you also get a beautiful view of the jungle and the rice fields. In peak season you will find bungalows with pool only 10 minutes from the centre for less than 20 € per night. For a night in a clean hostel you pay around 5 € per night with breakfast. The prices of luxury hotels and villas often have three digits. 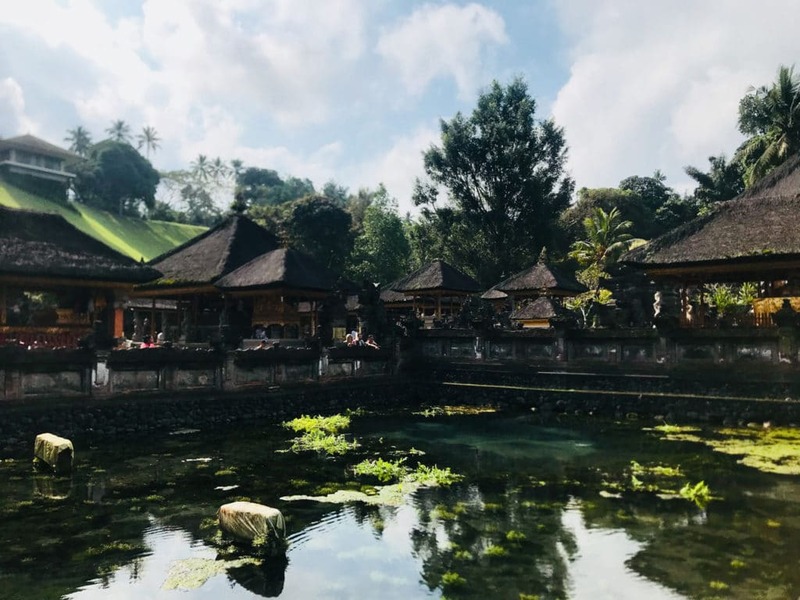 Ubud, known as the “wellness destination” with yoga retreats and alternative medicine centres, is now at the forefront of vegetarian and vegan cuisine. We recommend Sayuri and Kafe restaurants. 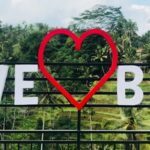 Our favourite, Fair Warung Bale: the meals in this Warung are not only delicious, they also have a positive impact on locals. 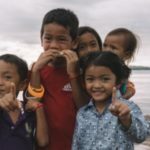 All the revenue has helped to build a rural hospital and fund more than 30,000 consultations a year for Balinese in difficult situations. 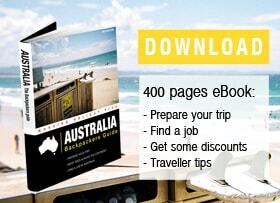 A great way to contribute to local development during your stay! 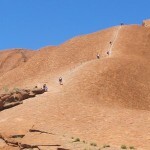 Uluru – To climb or not to climb?